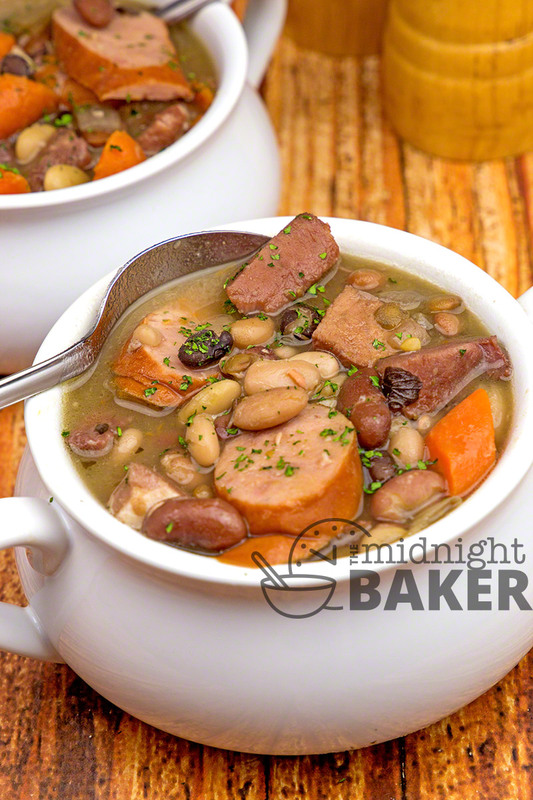 Delicious hearty mixed bean soup is great for a winter meal, but the kielbasa and ham add great flavor! Bean soup is perfect for a cold winter day! 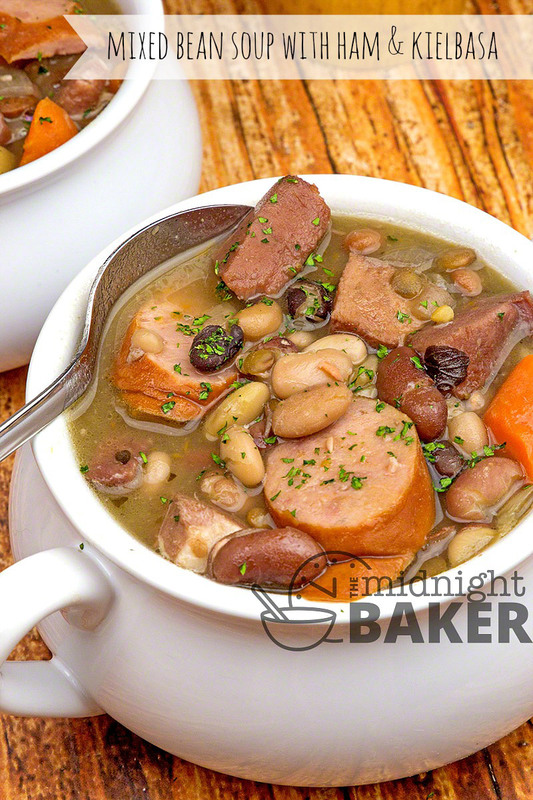 This soup is extra special because it contains a variety of beans and two meats! 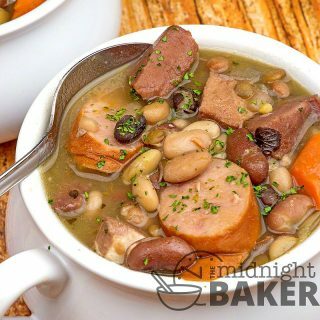 Bean soup is traditionally flavored with ham. Whenever I make a ham for dinner, I always save and freeze the bone for later use. This is one of the uses I have for the leftover ham bone. Always make sure to leave some meat on the bone for adding to the soup! 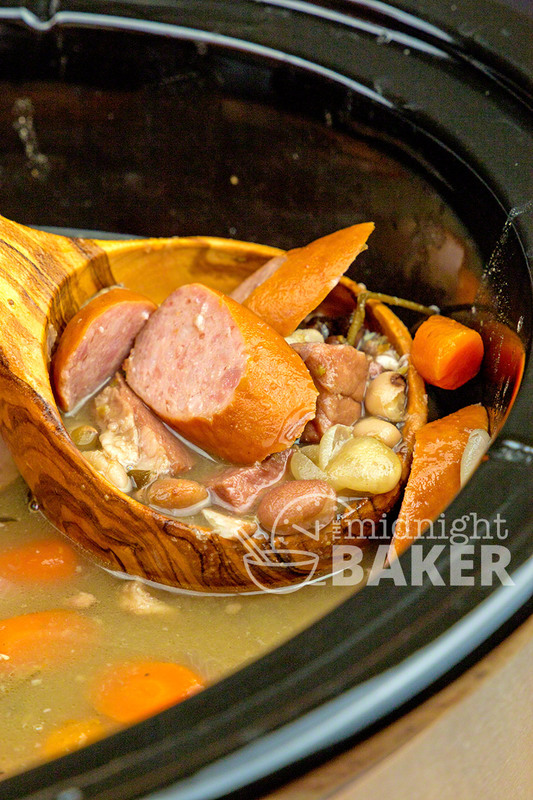 Kielbasa or smoked sausage is less traditional for flavoring the soup, but it’s absolutely delicious! It has a smoky flavor but is quite different from ham. This adds another level to the flavor. Also, most mixed bean packages come with a seasoning packet. Use it because this adds even more flavor, but if your package of beans doesn’t come with this seasoning, don’t worry–it’s totally optional. I generally will add carrot and celery to most any soup I make. 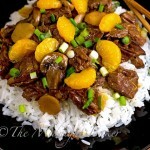 In this one, I had no celery so I only added carrots. I like the sweetish flavor that carrot imparts to a soup. 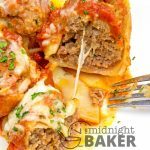 You can add anything you like that you think goes well with the meats. As far as herbs and spices, something such as this soup lends itself to bay and a bit of basil for my tastes. You can really get experimental here if you want. I have to admit I’m not that adventurous with herbs so I haven’t tried other combinations. I’d love it if you could let me know your personal favorites for bean and ham soup! 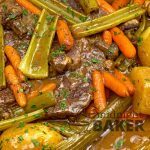 Place soaked beans in a 5-7 quart slow cooker. Add the water and the flavor pack that was in the beans (if there isn't one in your package, it's not essential so don't worry), the chicken base, carrots, onions, basil, bay leaf. kielbasa and ham bone/ham chunks. 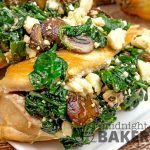 Cover and cook on low 8-10 hours, high 5-8 hours (times are approximate). To prepare beans-- place beans in a large pot and cover with water 1" above the beans. Soak overnight. Alternate method (but not as good)--place beans in a large pot and cover with water 1" above the beans. Bring water to a boil, boil 5 minutes then remove from the heat, cover and let sit for 1 hour. With either method, drain the water and rinse. Flavor packet--if the brand of beans you buy doesn't have a little packet of flavoring, it's not essential so don't worry.